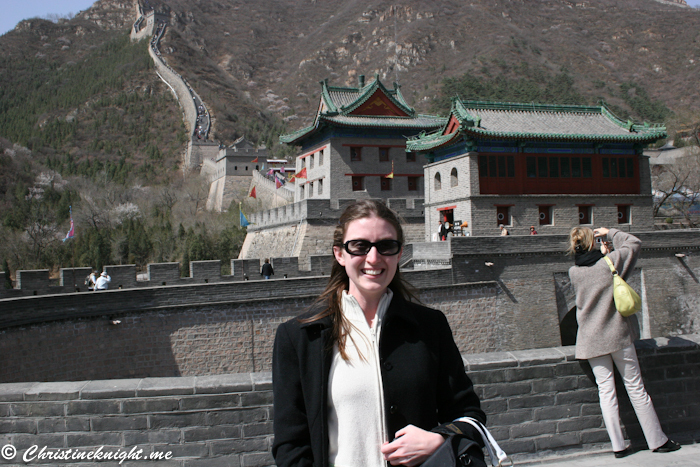 China Archives - Adventure, baby! 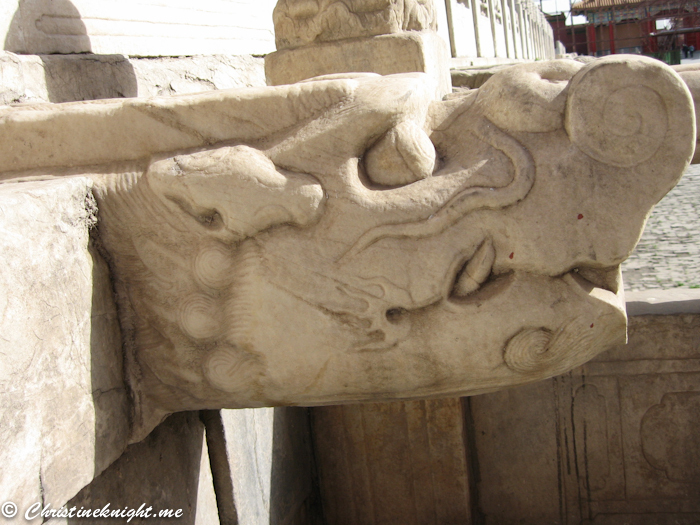 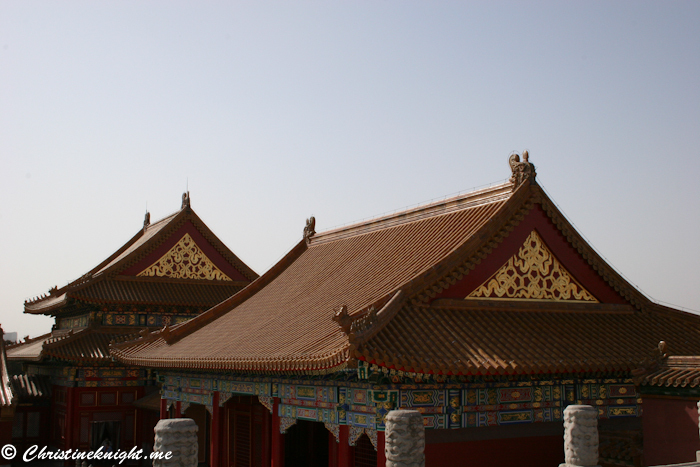 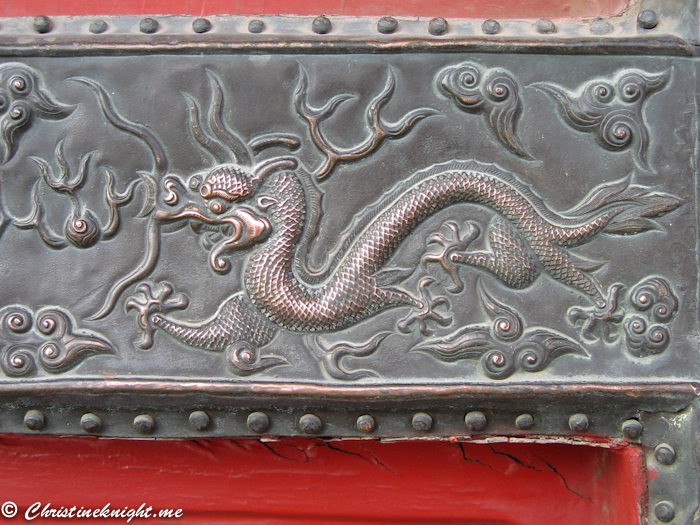 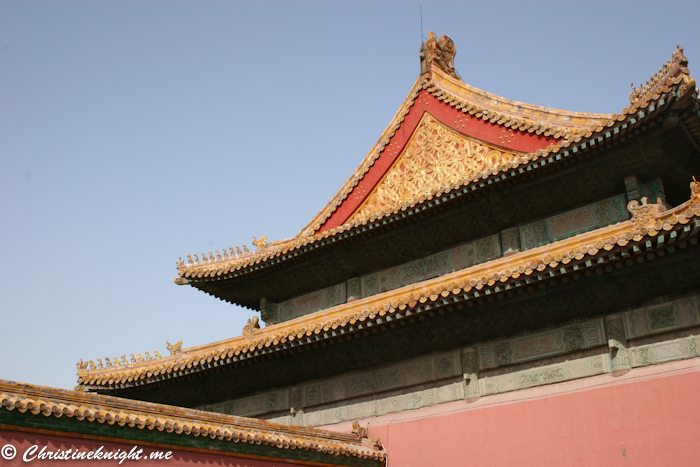 During my 2007 trip to Beijing, we were taken to see the Forbidden City – one of China’s biggest tourist attractions, with around 7 million visitors a year (up to 80,000 a day!). 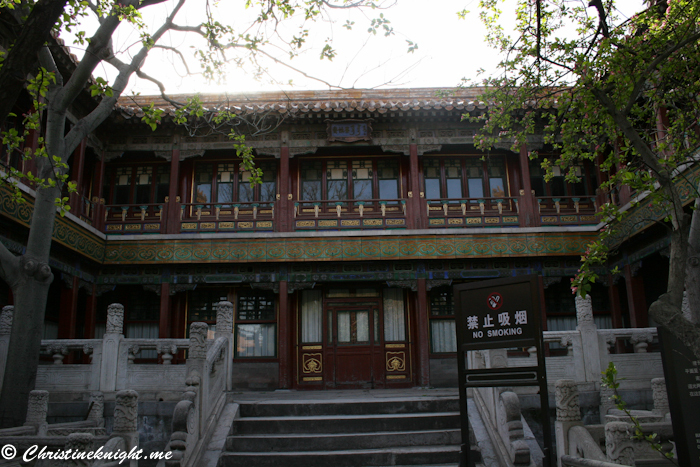 This spectacular palace was home to 24 imperial Chinese emperors from the Ming dynasty in 1420 to the end of the Qing dynasty in 1912. 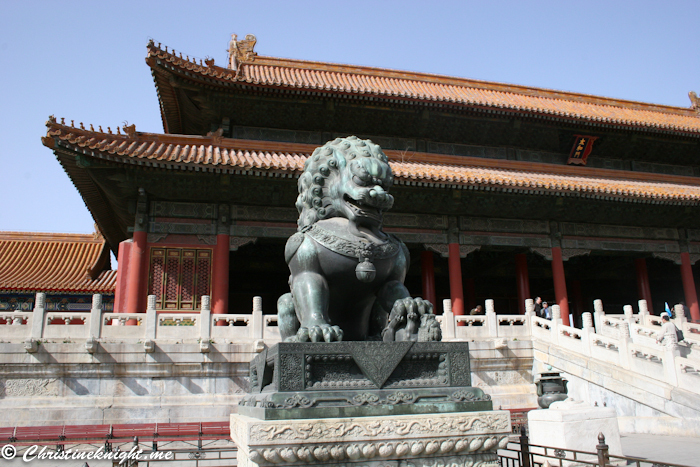 The Forbidden City is located right in the center of Beijing (near Tiananmen Square) and is now home to the Palace Museum. 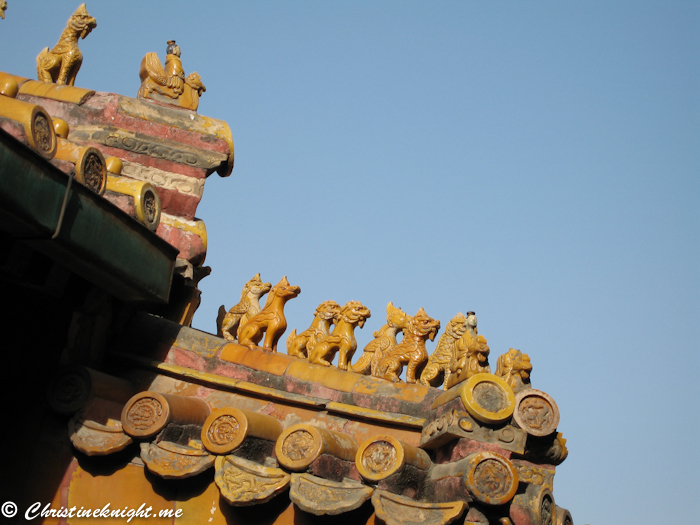 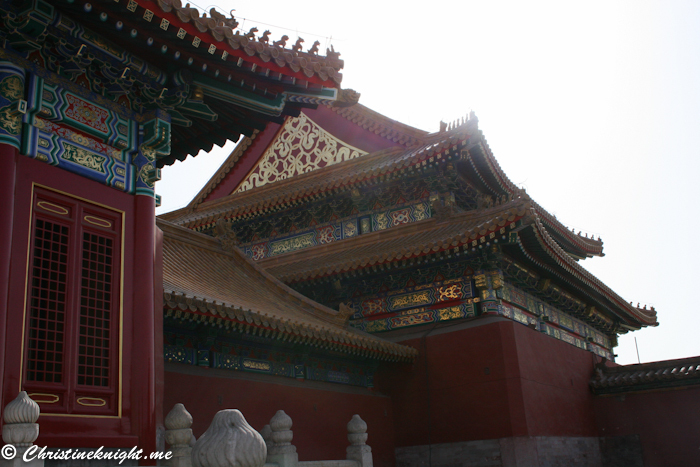 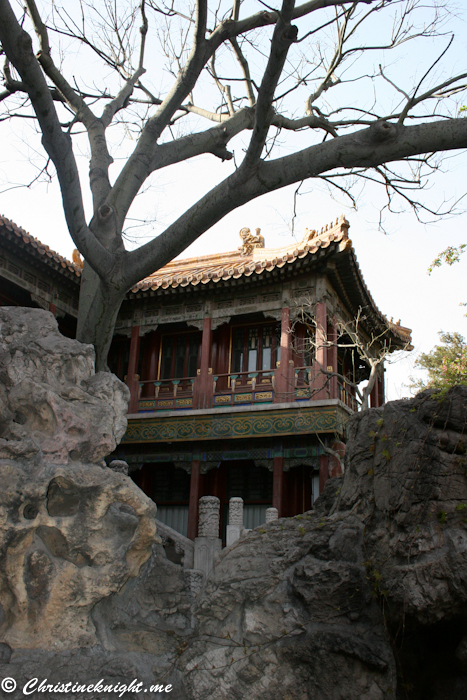 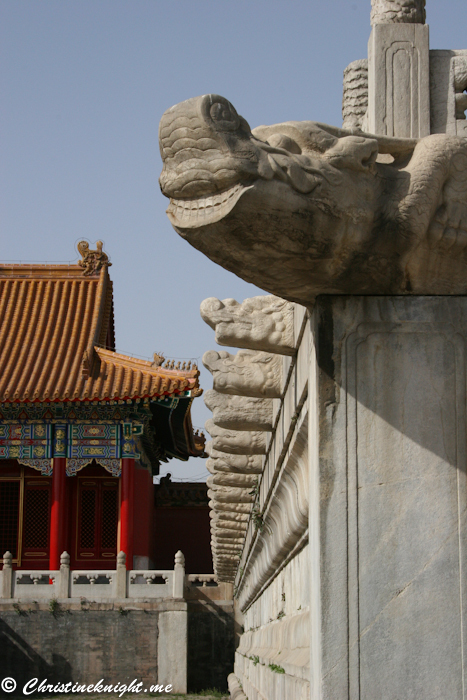 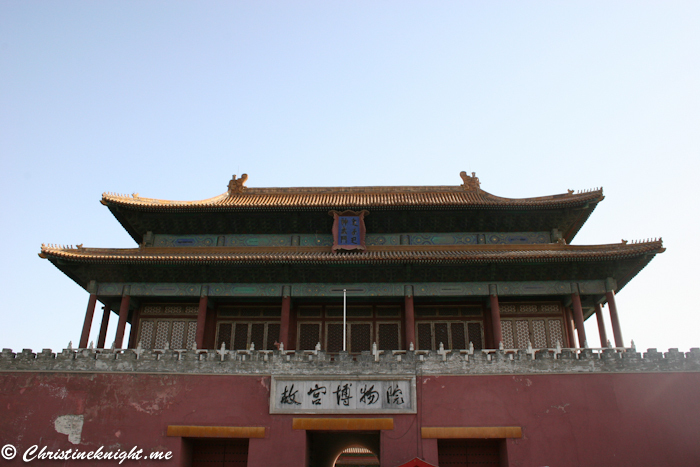 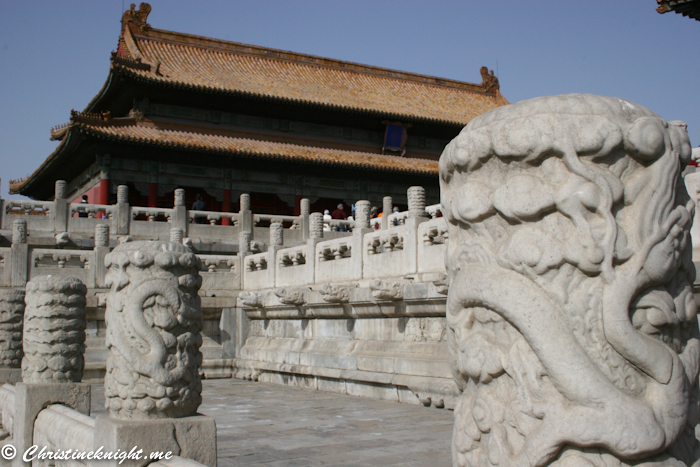 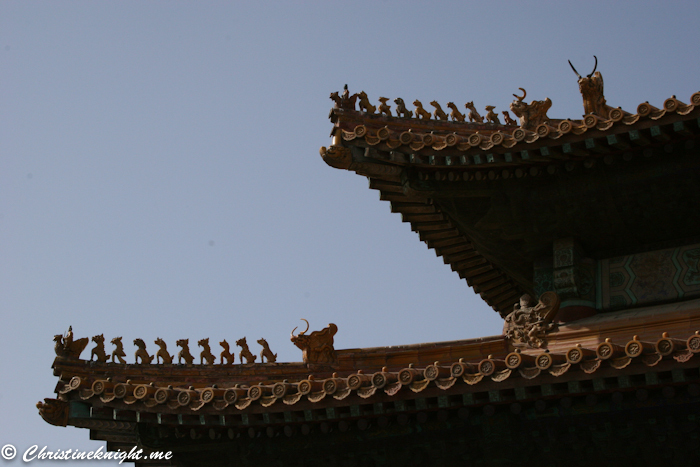 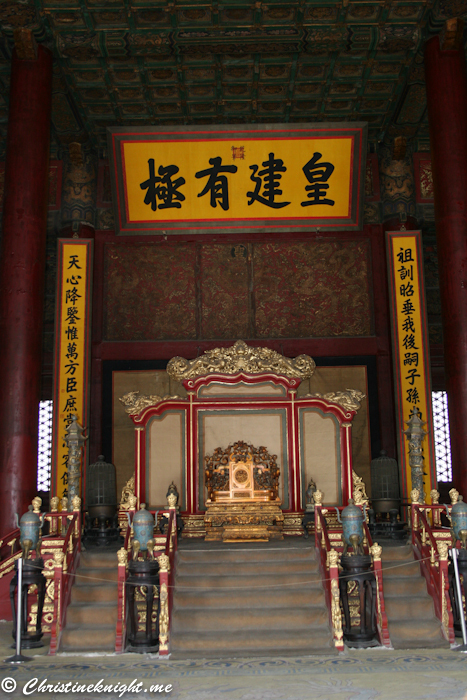 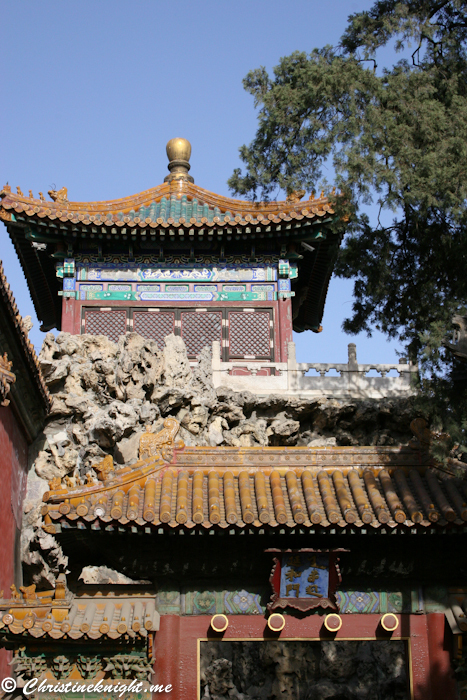 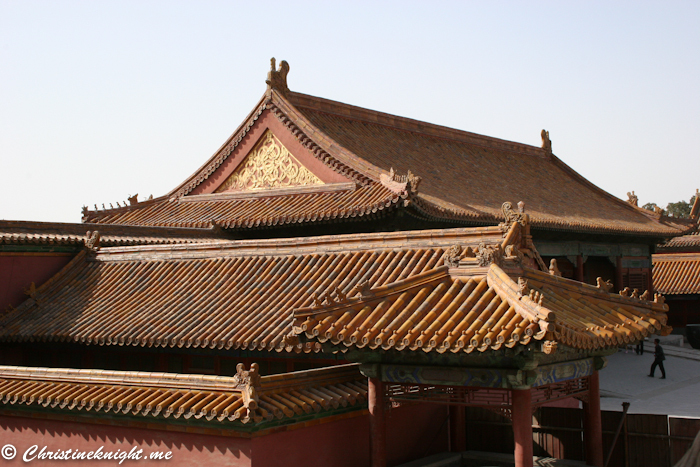 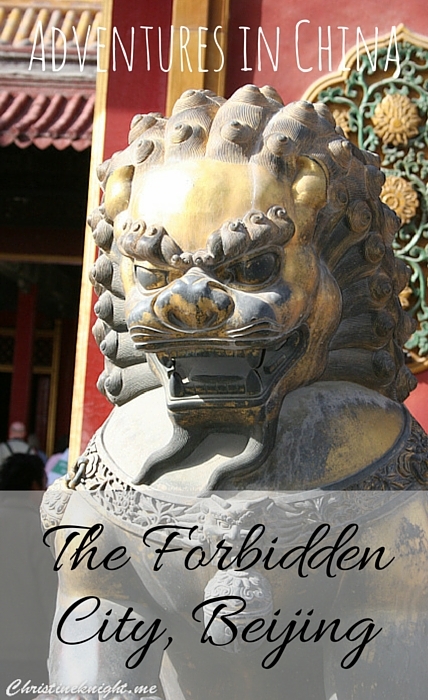 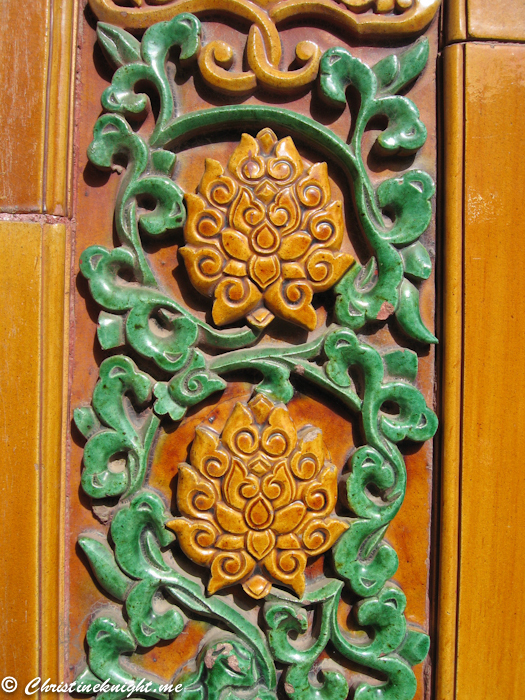 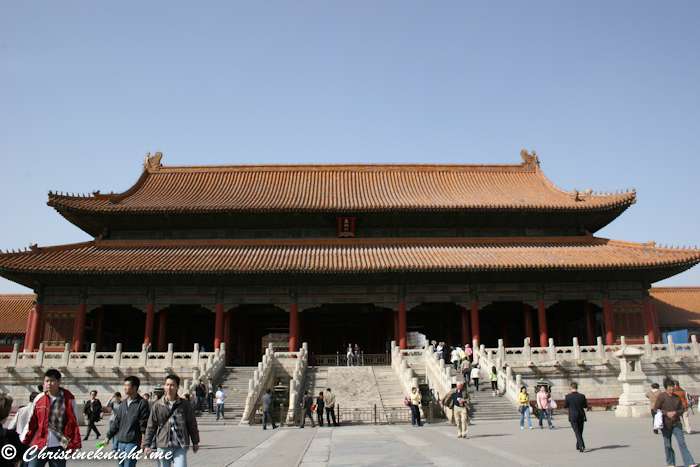 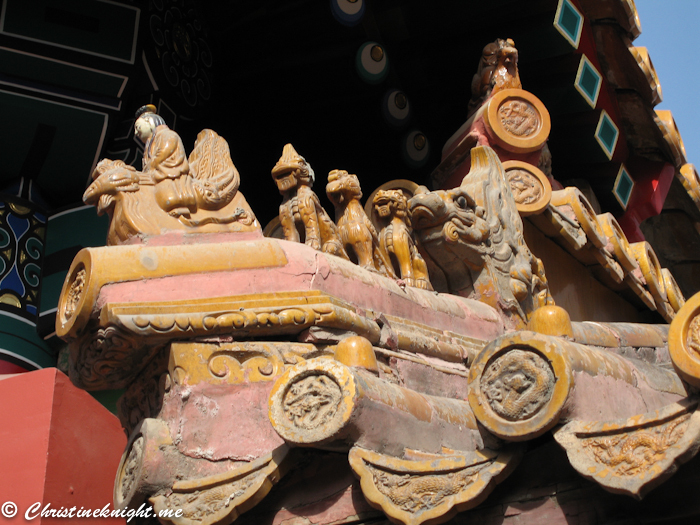 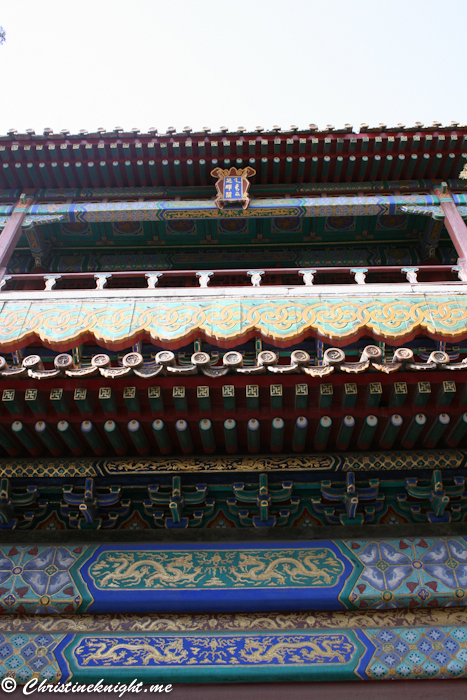 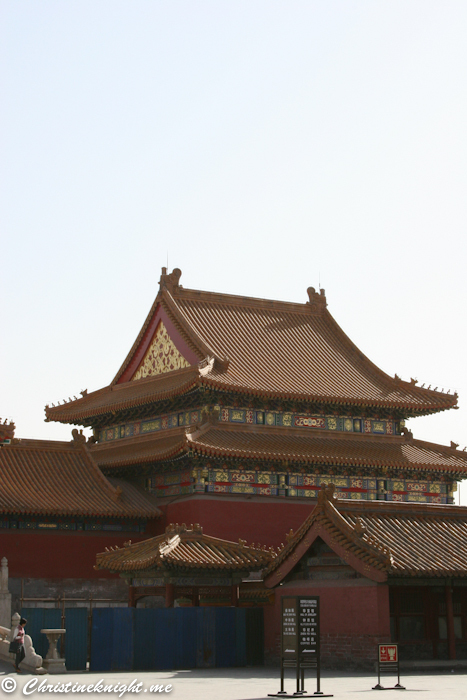 For 500 years the palace was off limits to the public, hence the name “Forbidden City”. 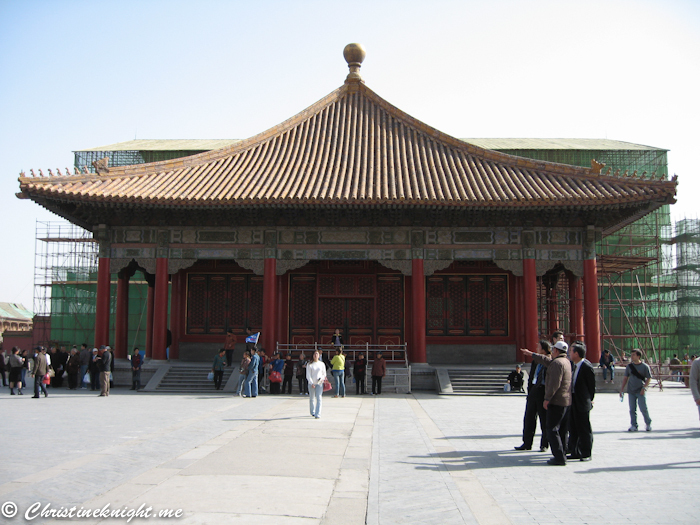 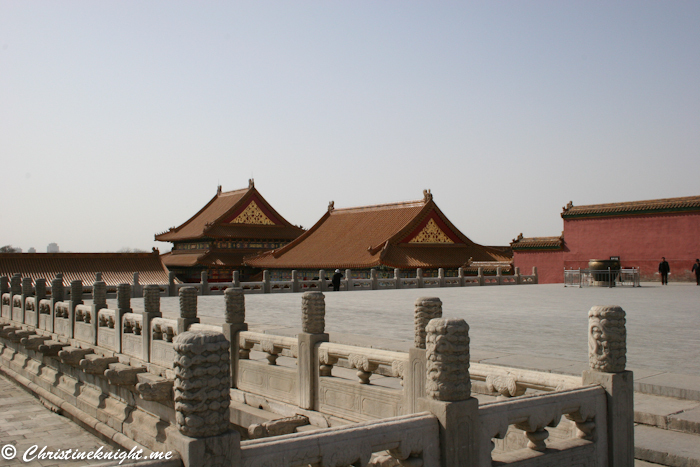 Nowadays you can enter what is the largest palace complex in the world for around $10AUD. 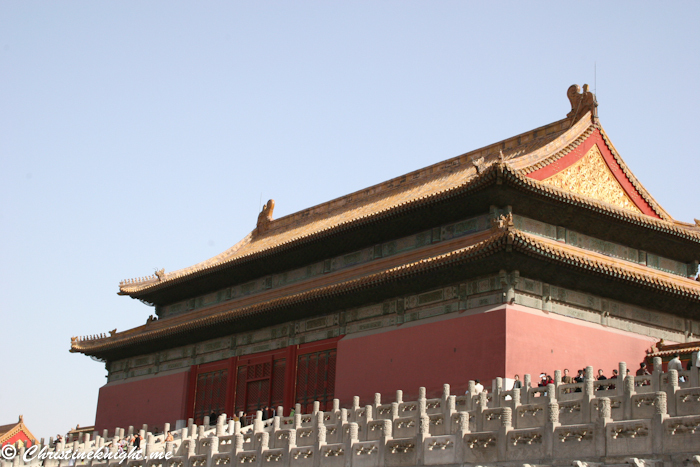 The palace is also China’s best-preserved and largest group of ancient buildings, making it an amazing trip back in time when you visit. 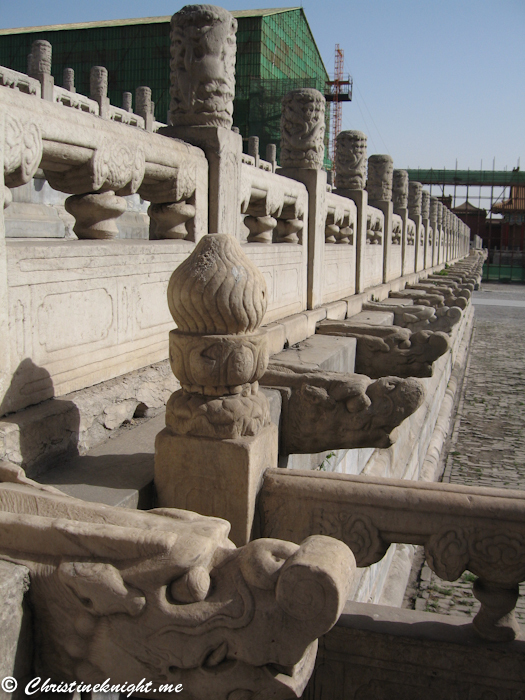 We had a tour guide for our group, who was full of interesting info that wasn’t on the audio tour – such as during our visit renovations were obviously in progress on the roofs. 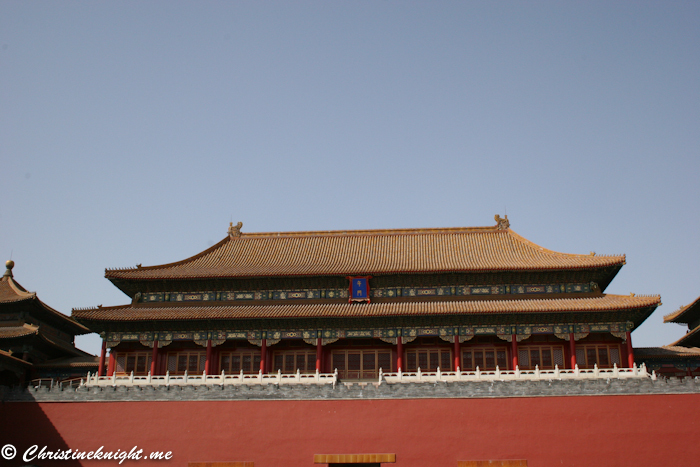 Our guide noted that the palace was so large that by the time they had finished re-painting all the roofs they would need to start re-painting the first ones they began with all over again. 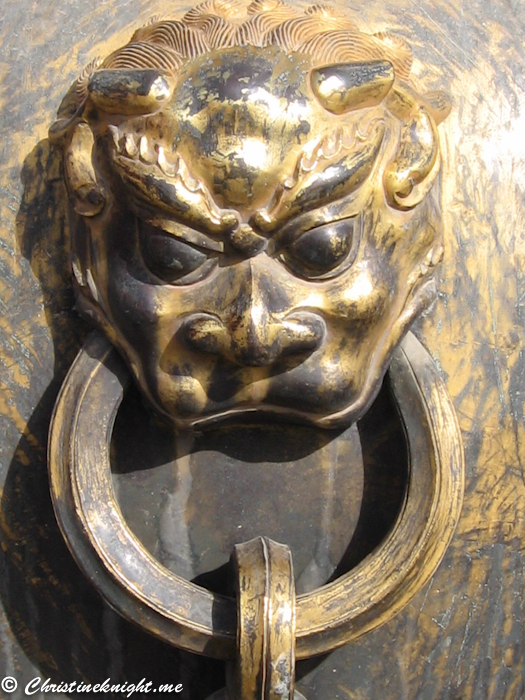 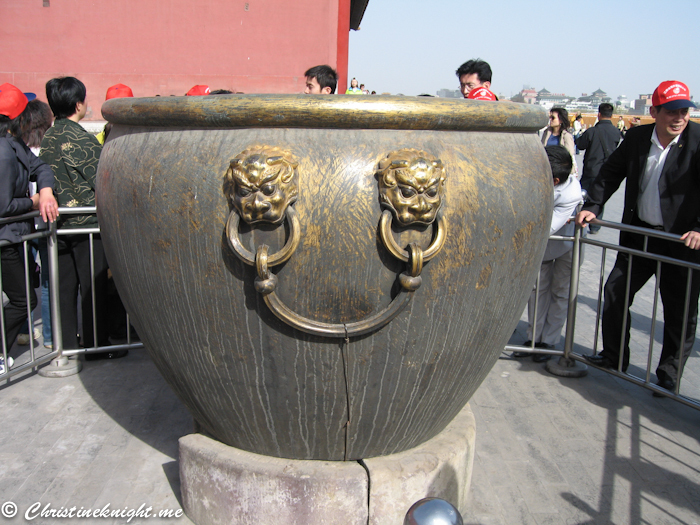 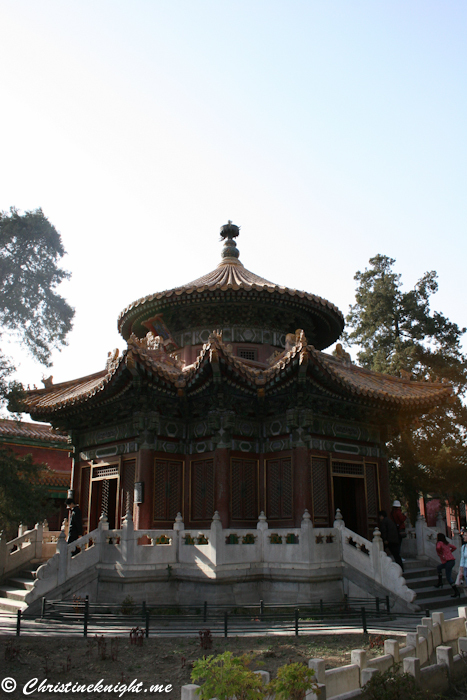 It was at the Forbidden City that I had my first introduction to a dirty “hole-in-the-ground” Chinese toilet. 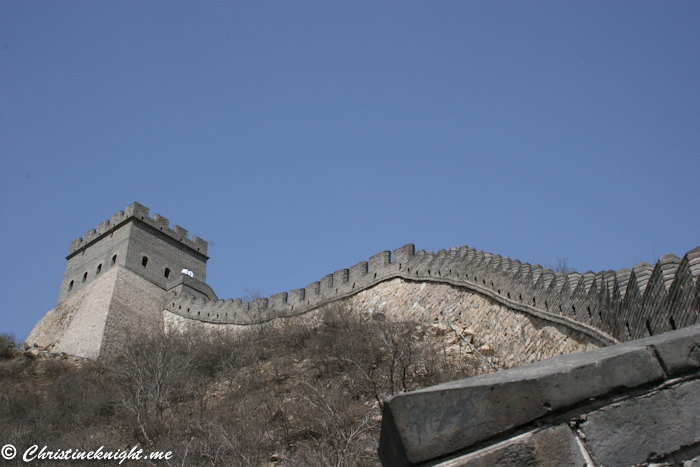 Unless things have improved since our visit, I highly suggest you hold it rather than also experience this traditional gem. 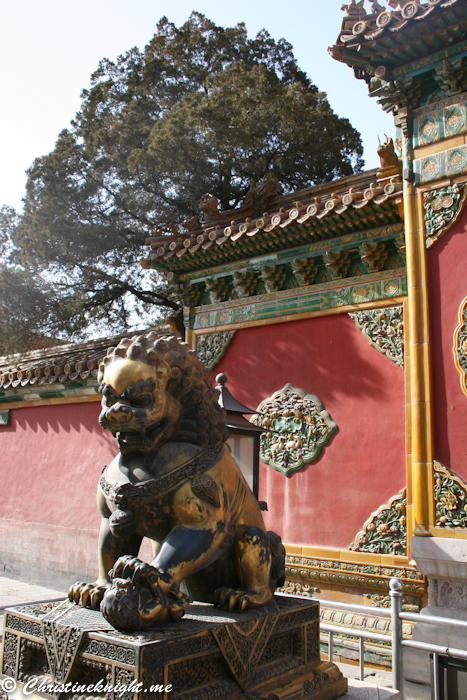 Set aside most of a day to really explore the entire palace. 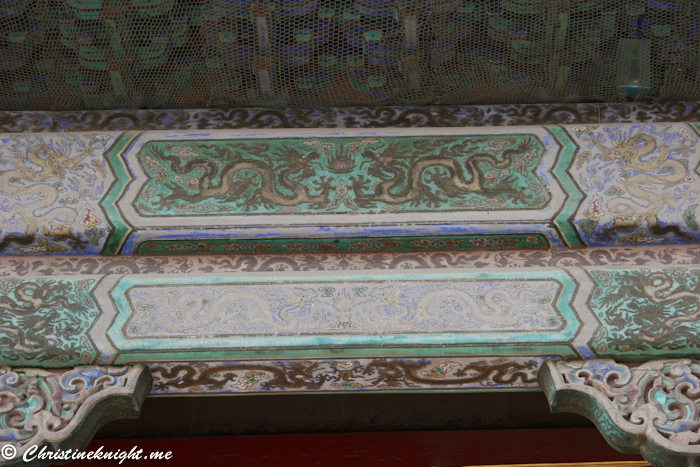 Comfortable shoes are advisable. 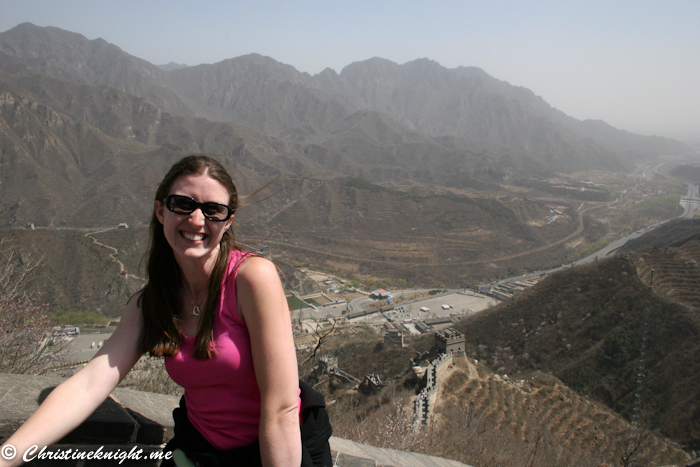 I had a mild panic attack recently when I realised that I’ve travelled far and wide but very few of my journeys have actually been blogged. 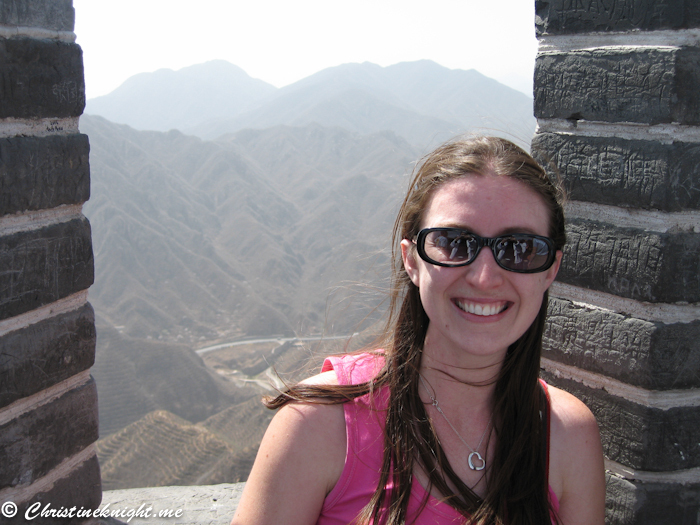 What kind of travel blogger am I?! 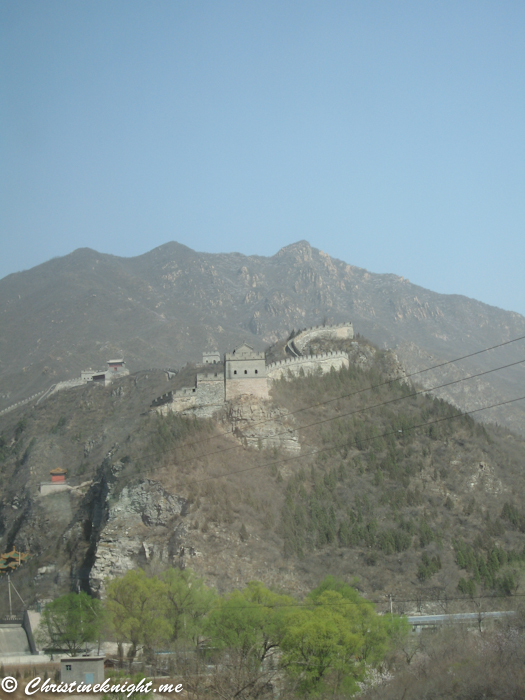 Since I don’t get to travel as much these days with my preschooler in tow, I decided to go back through my travels and add them in so all of my adventures are chronicled in the one place. 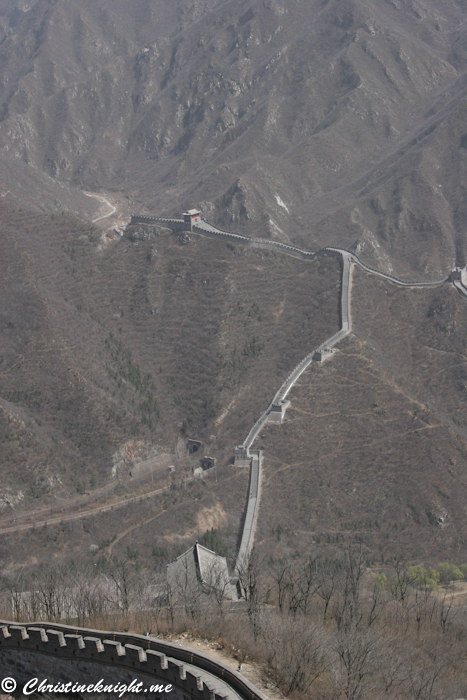 Starting with the Great Wall of China. 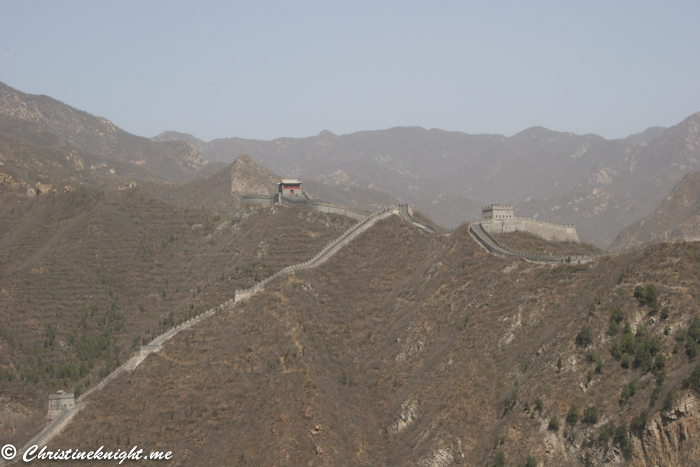 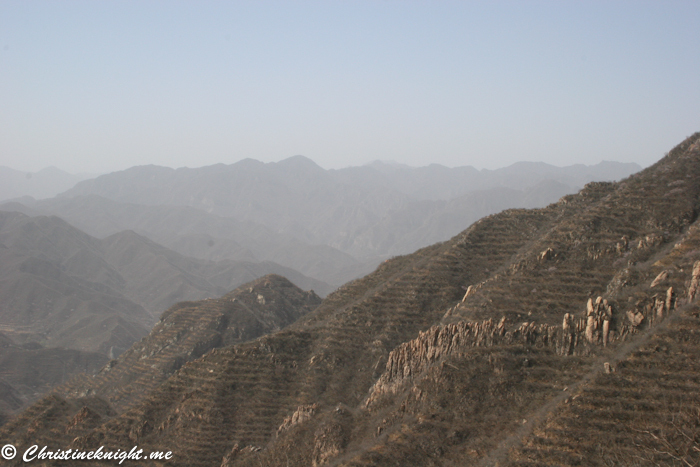 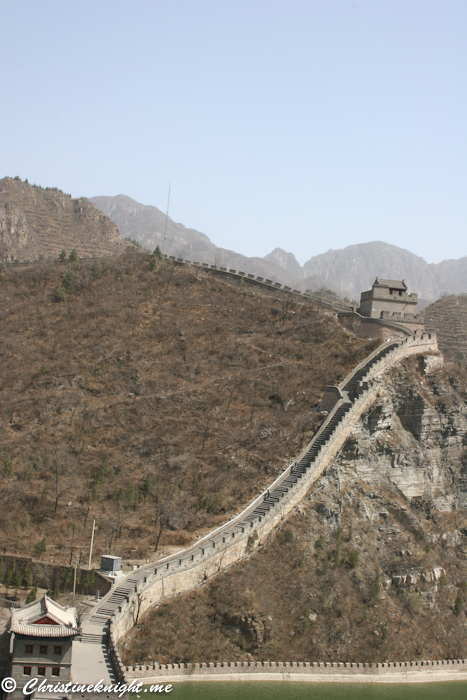 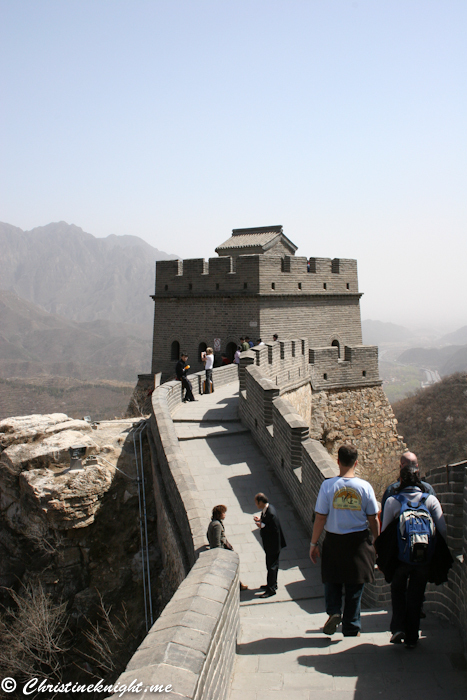 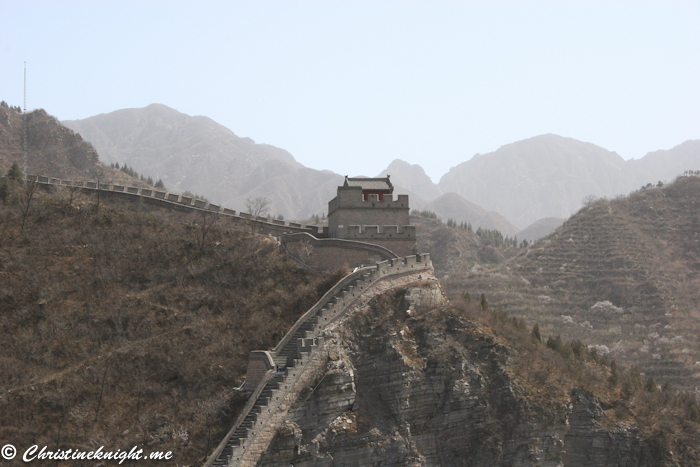 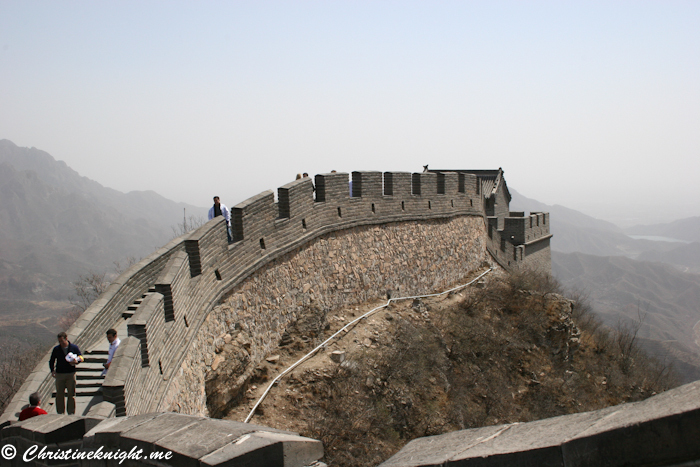 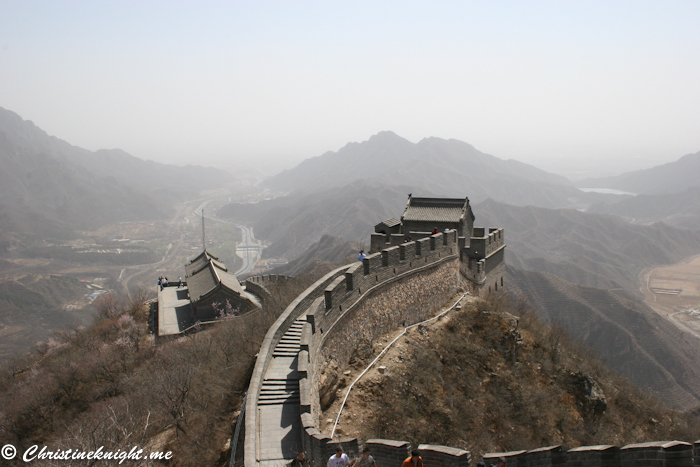 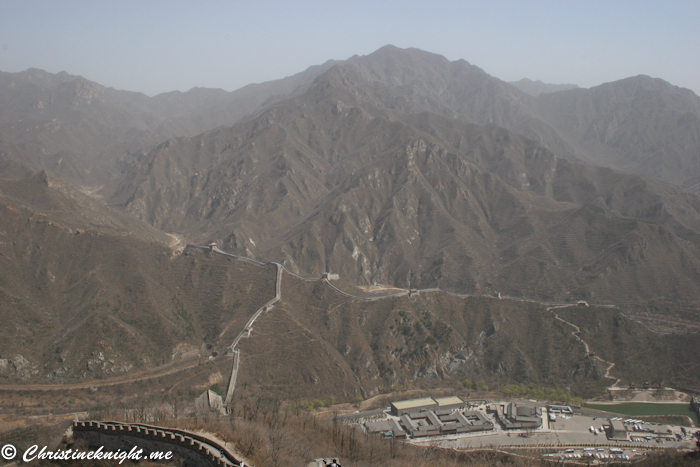 I visited Beijing in 2007 on a work trip and was so excited when I found out that one of our organised activities was the climb the Great Wall of China. 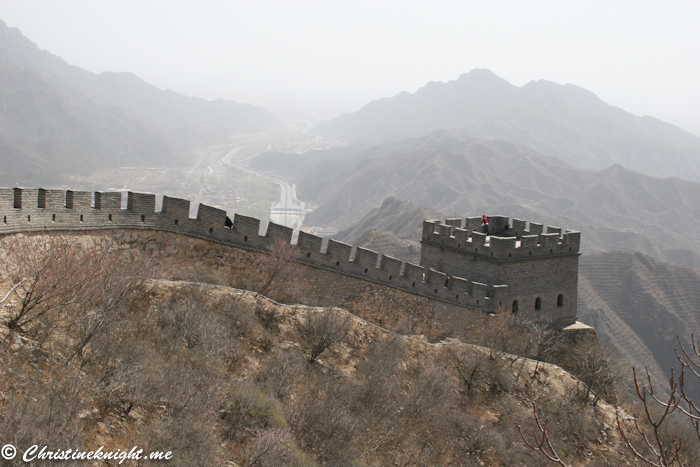 The Great Wall of China is a series of fortifications built along an east-west line across the northern borders of China from the 3rd century BC to the 17th century AD. 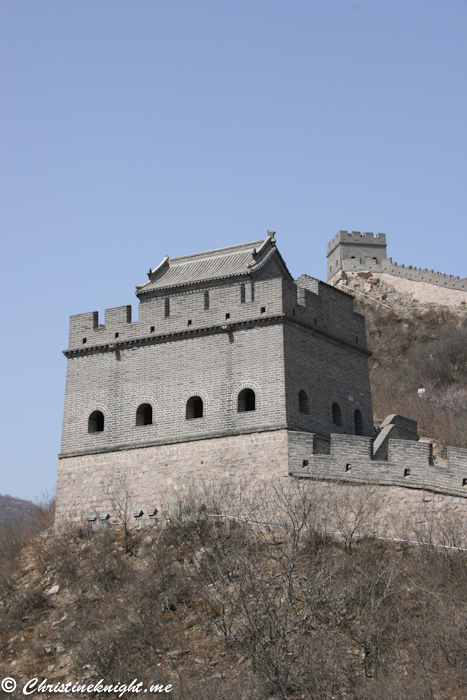 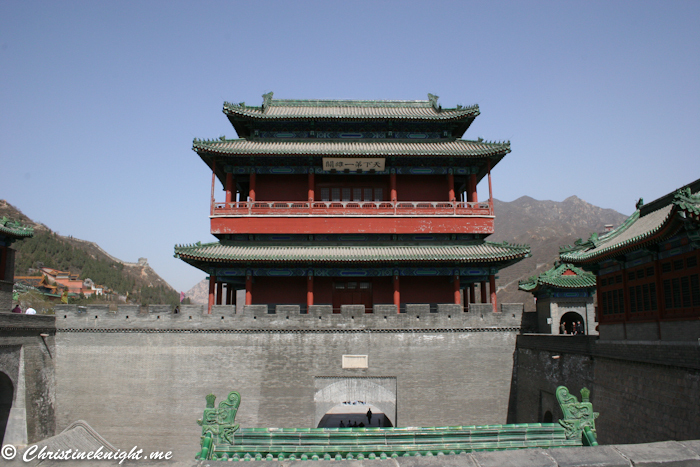 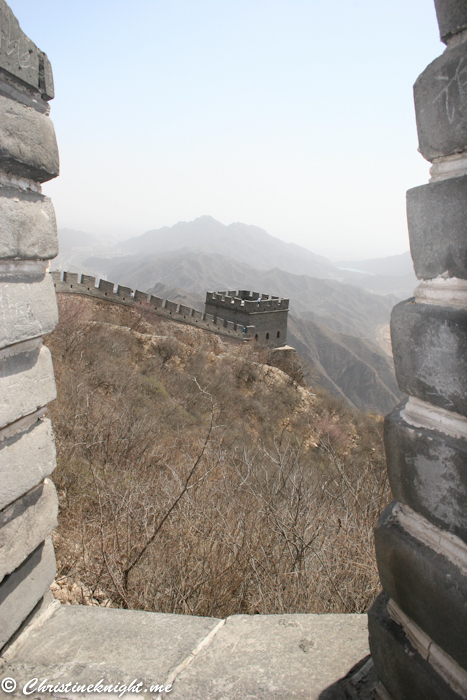 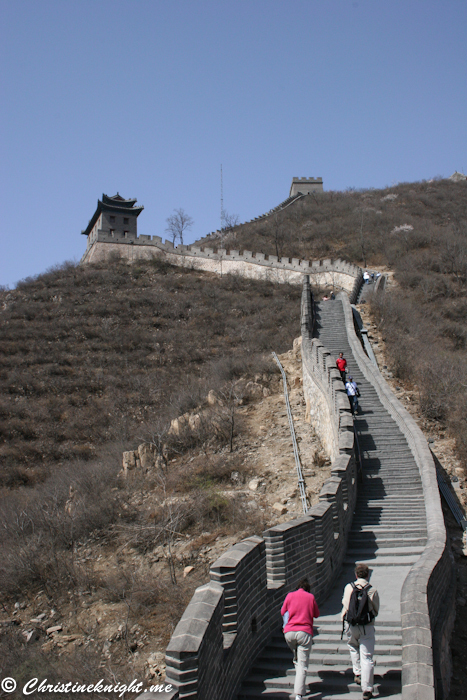 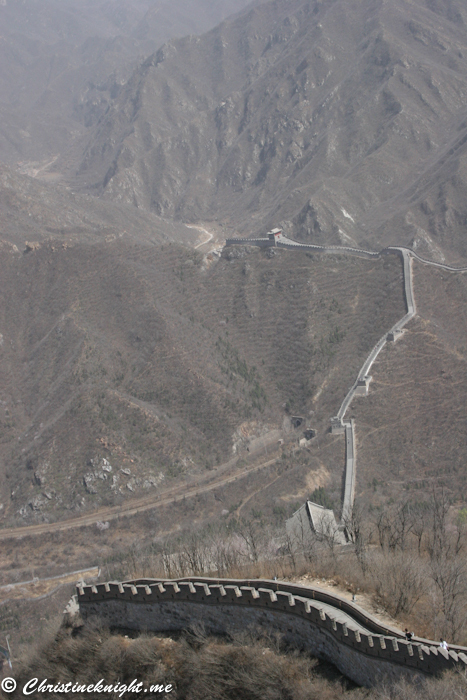 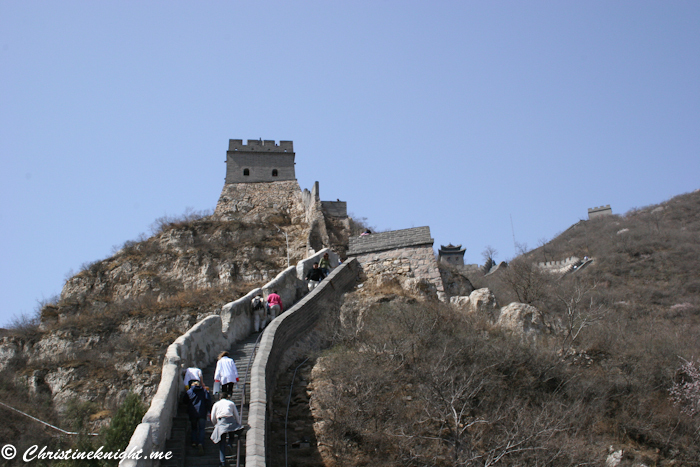 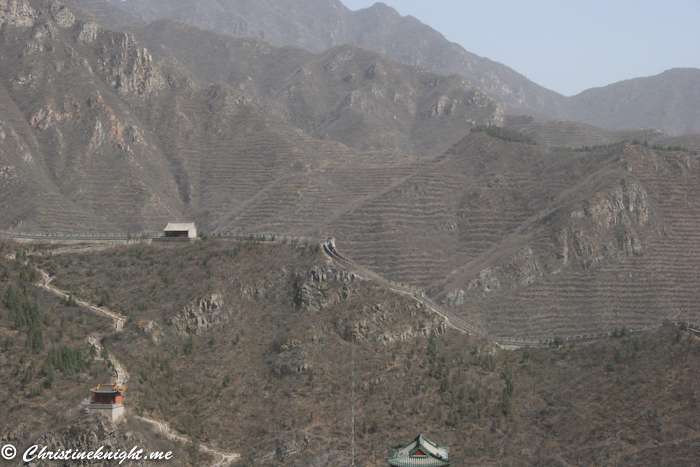 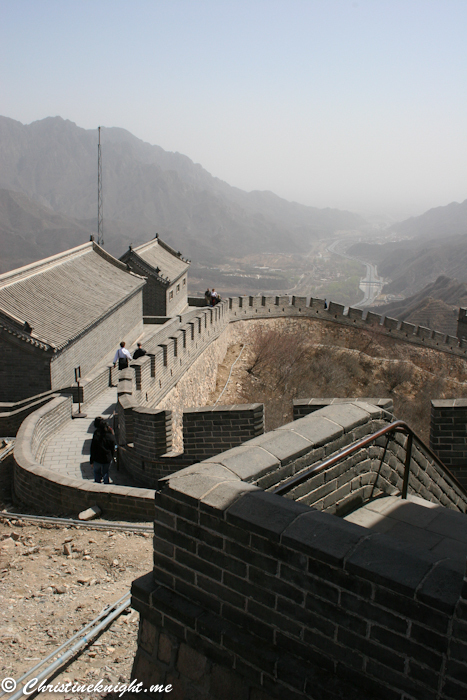 The wall was built to protect the Chinese empires against invaders, with a total length of more than 20,000 km. 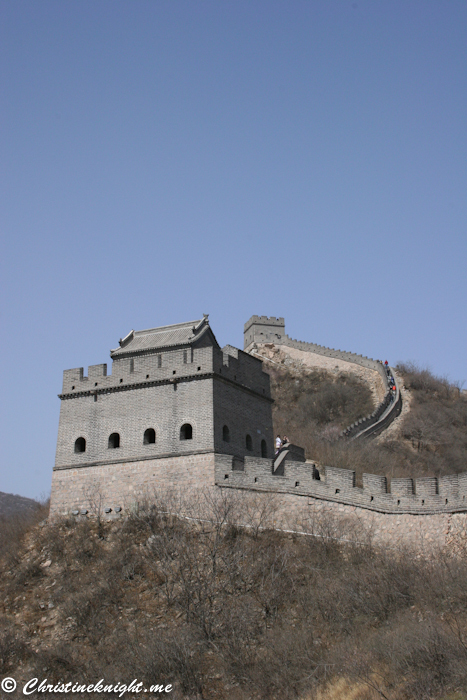 While some sections of the wall have crumbled away, some still exist to an extent that they can be climbed, as the wall has been rebuilt, maintained and renovated constantly. 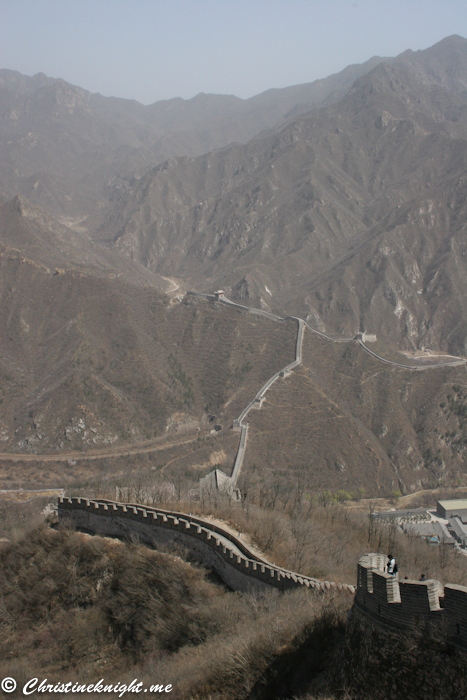 We climbed the Badaling section of the wall. 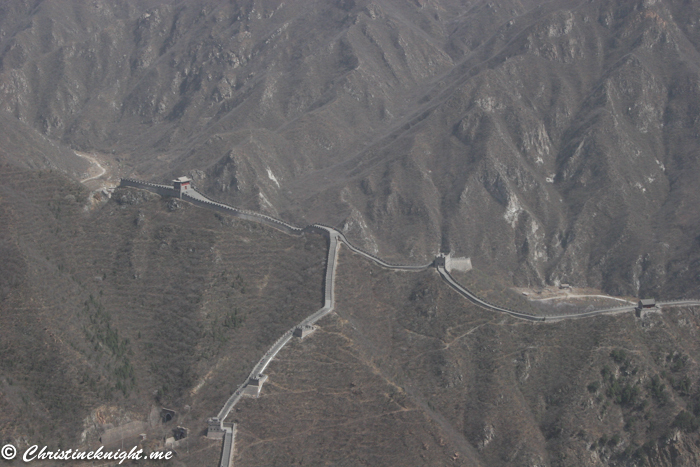 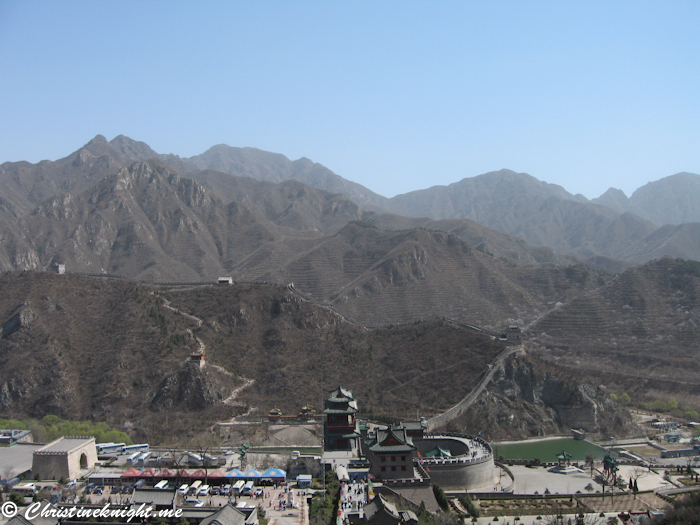 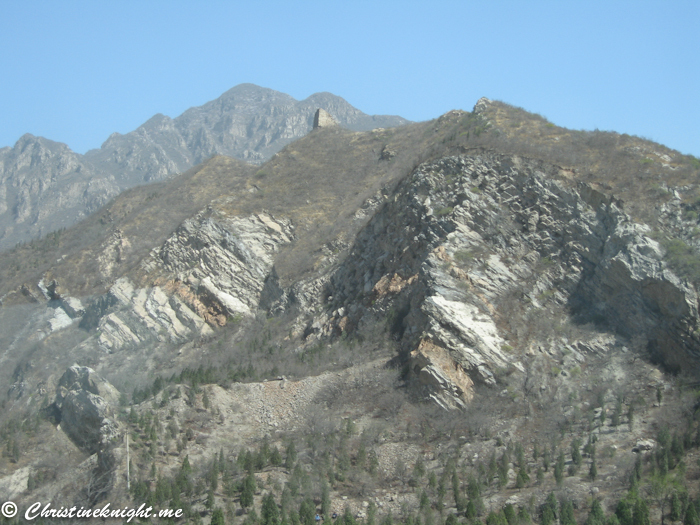 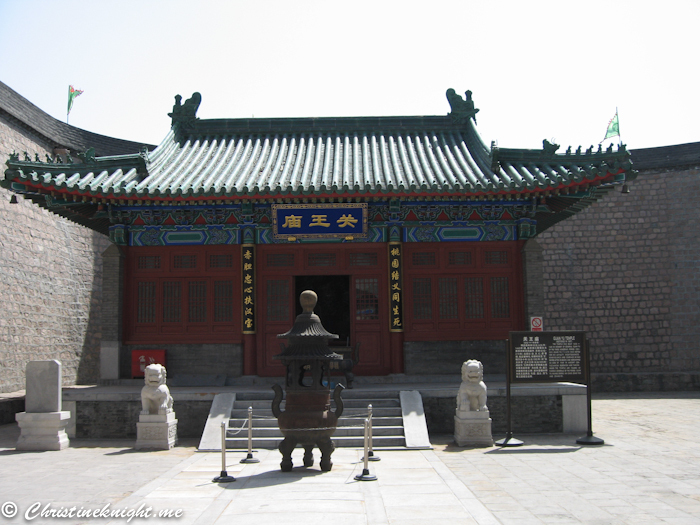 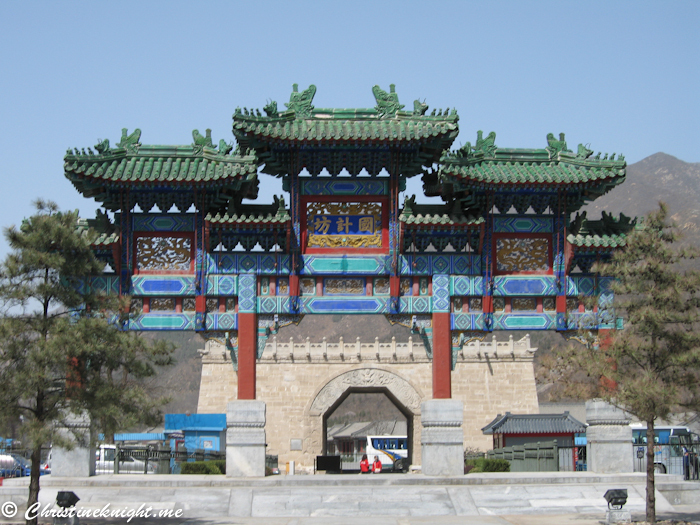 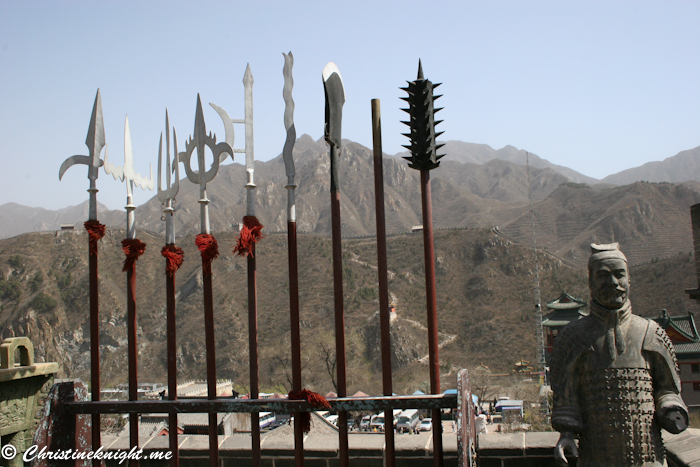 It’s the most famous section, the most complete, convenient and accessible, and is also the closest to Beijing (70 km). 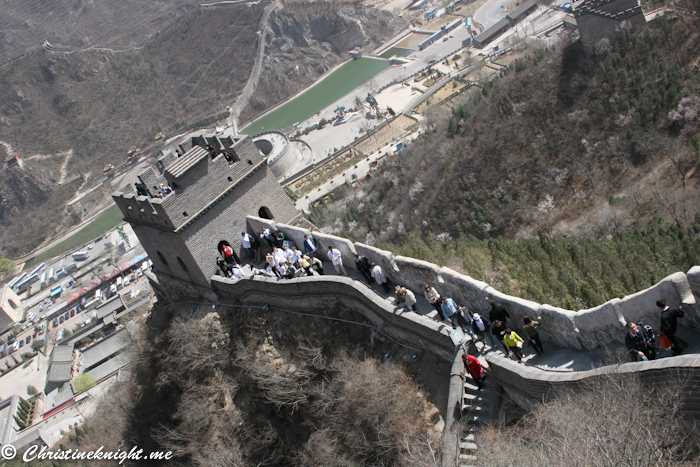 As a result, however, this section of the wall is always teaming with tourists (like us!). 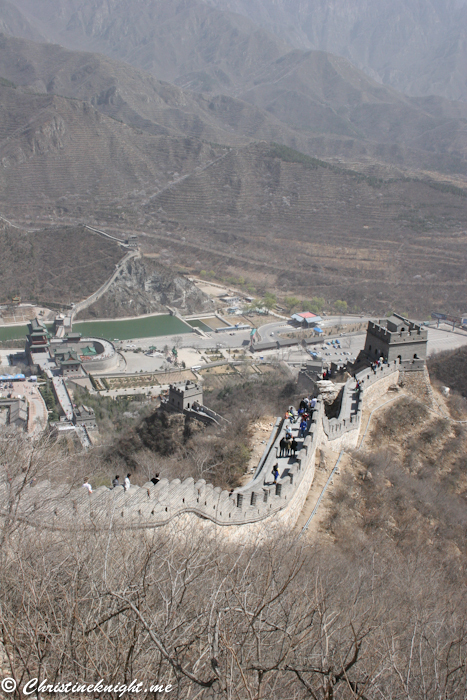 I didn’t find it overwhelmingly busy when we visited, however, so I wouldn’t be put off by this. 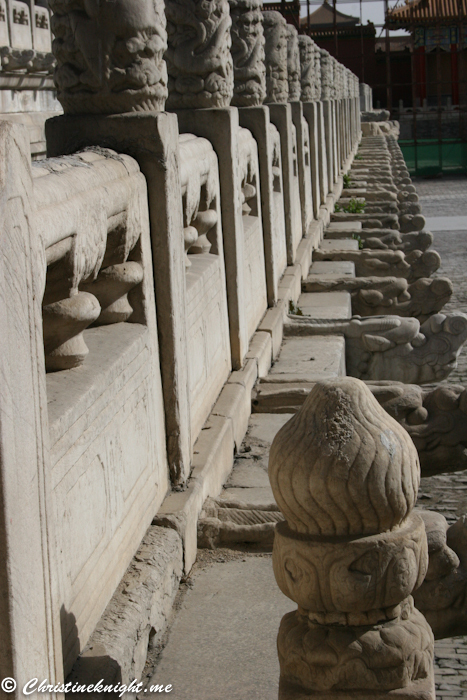 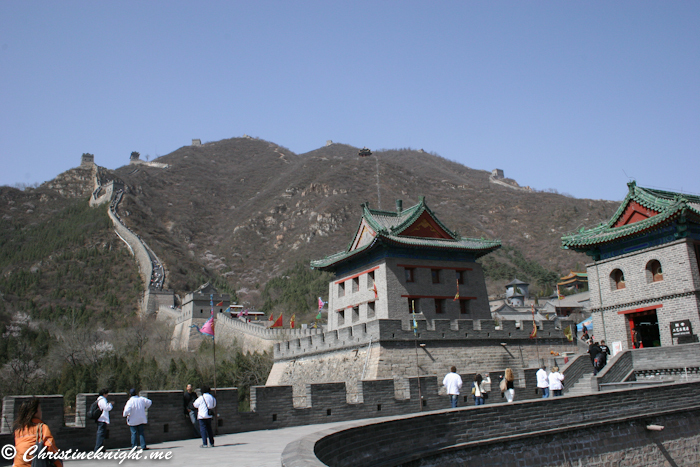 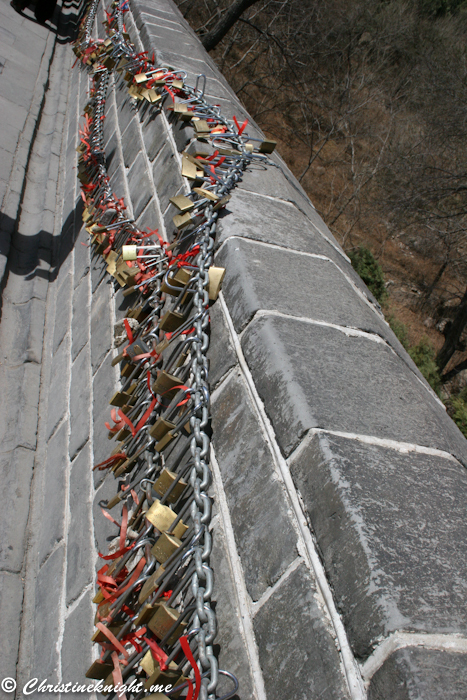 The Badaling section has had the most renovation and is well maintained, making it the safest section to walk of the wall, too. 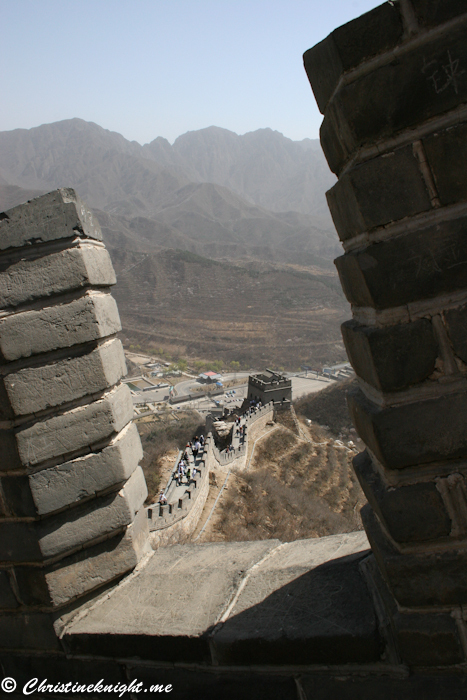 Most parts of the Badaling Great Wall were built during the Ming Dynasty (1368 – 1644 AD) to defend Beijing against raids from northern Mongolians. 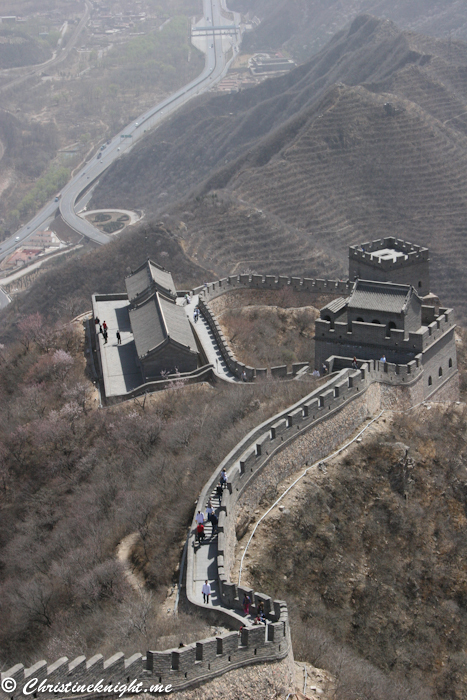 The Badaling section of the wall is 12 kilometers with 43 watchtowers, but only 3.74 km and 19 watchtowers have been restored and are opened to visitors. 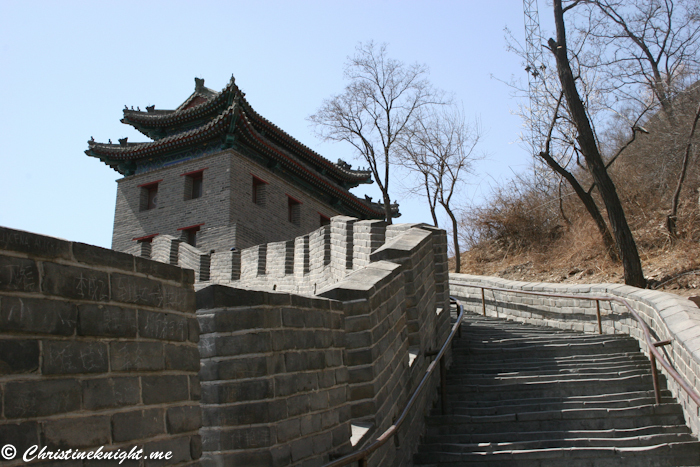 While that sounds like a short stroll, it’s an exhausting walk up hill, and your calves will remind you of it for days to come. 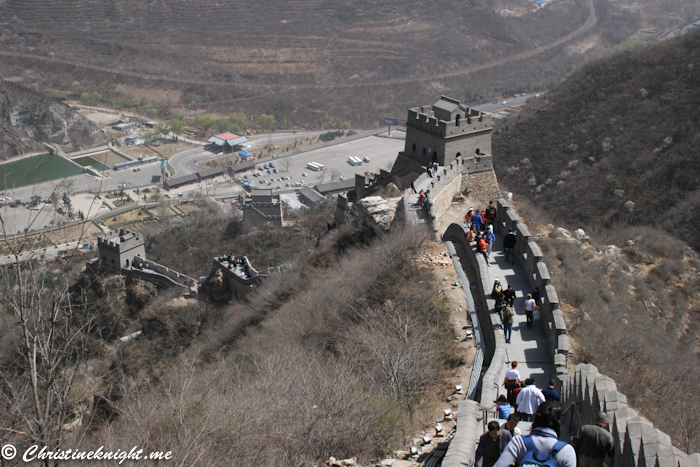 Take plenty of water and wear very comfy shoes. 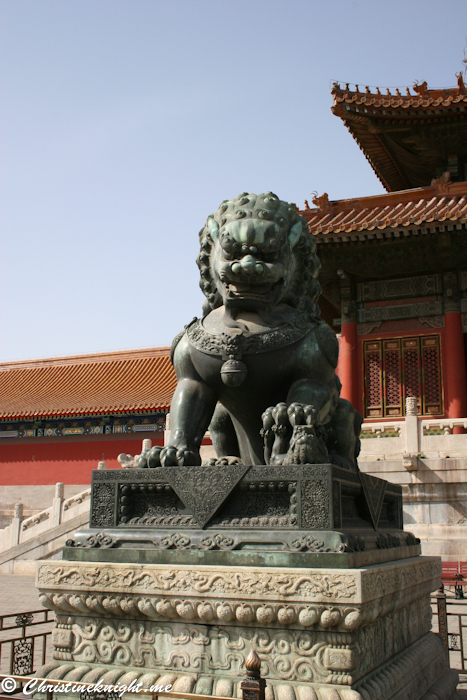 Heading to China? 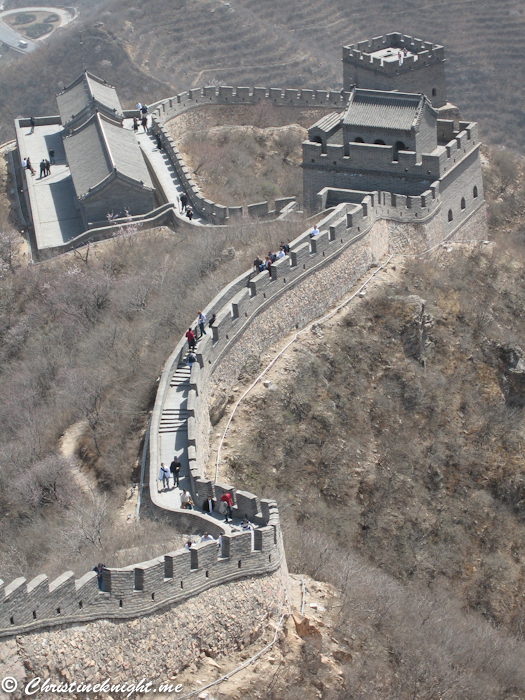 Get ideas on a two-week itinerary here. 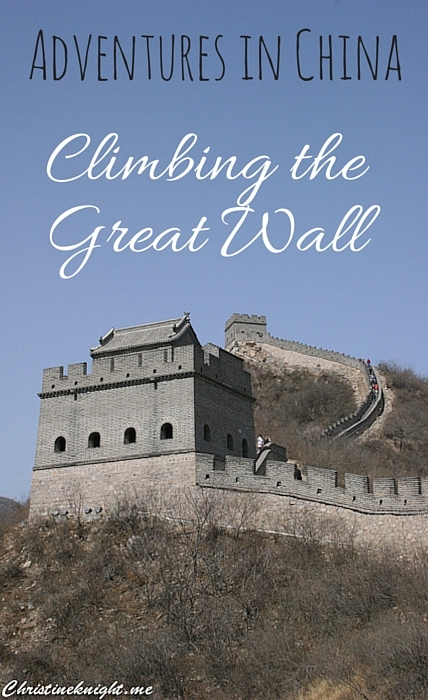 Climbing the great wall isn’t enough? 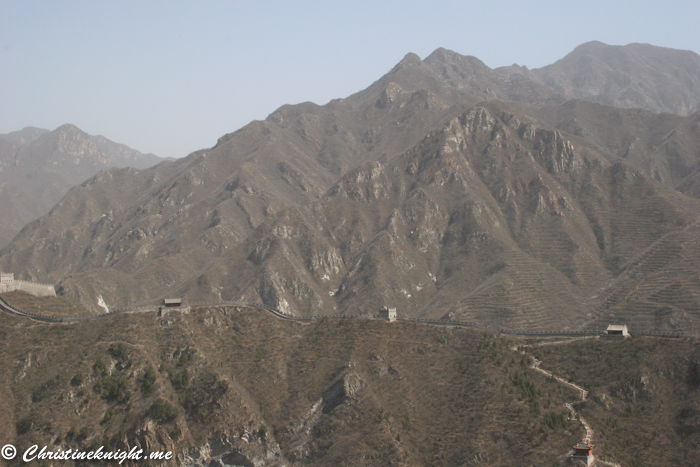 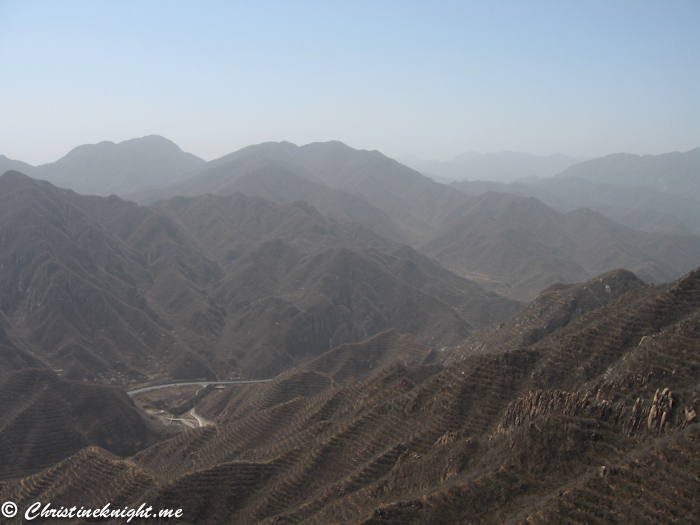 What about CAMPING on the Great Wall of China? 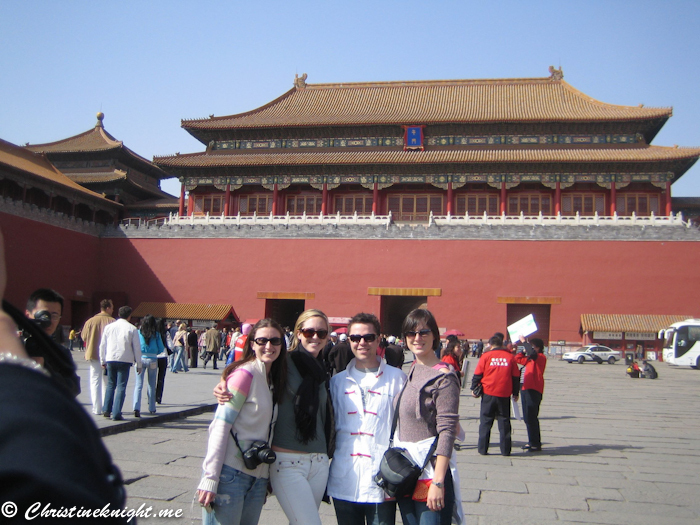 Looking for more things to do in China? 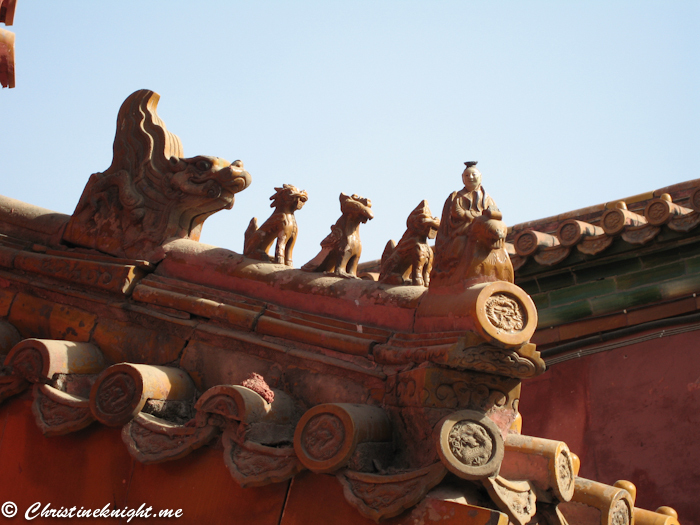 Head to Guangzhou with your kids.